Scheduler for sending notes in ShixxNOTE program ? Many of my customers asked me if I have some kind of "Scheduler" implemented in ShixxNOTE 6.net program. Now I am thinking a lot about that feature. There are two solutions for this. First solution is to modify program and enable execution of "ShixxNOTE.exe" file from "Command prompt" with arguments. After that I can add "Basic Task" from program in Windows "Task Scheduler". That also means that you will be able to write command in "Command prompt" that will execute ShixxNOTE program and send note to others in your LAN. 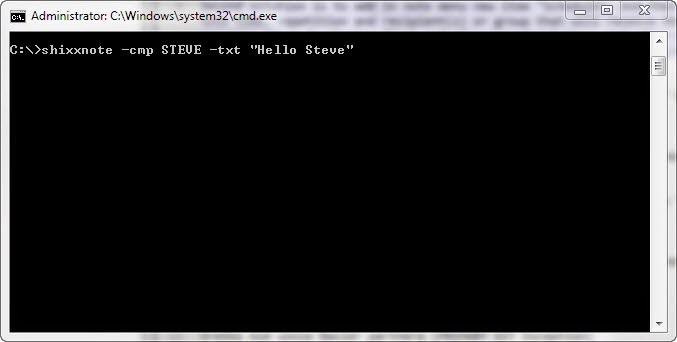 For example if you write this "ShixxNOTE.exe -cmp STEVE -txt Hello" in the Command Prompt, recepient (computer named STEVE in your LAN) will receive note with text ("Hello"). 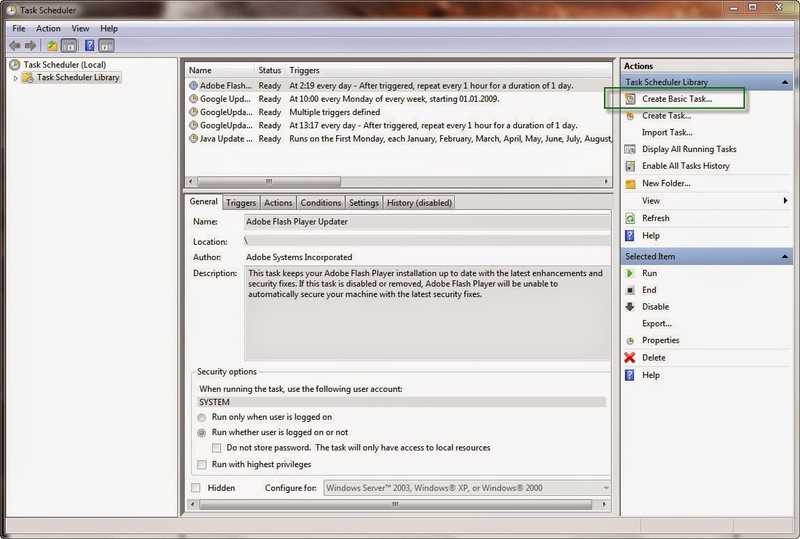 Note theme would be as a default one on STEVE's computer. Second solution is to add in note menu new item "Schedule". And then you would get scheduler dialog where you will be able to select for every note time, repetition and recipient(s) or group that will receive that note. Second solution is better but please give me advice. Now I am thinking about developing first and also second solution. And after that I will change version to 7.net because in that new version there would be a plenty of new options, changes, new features and finally multilanguage support. Can you write me back what do you think about "Scheduler" in ShixxNOTE ? Maybe somebody would use this to bombard co-worker with notes. That wouldn't be nice.